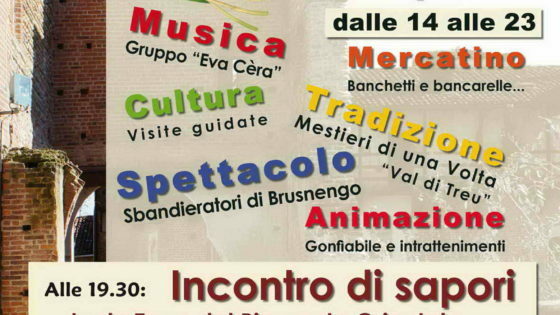 As part of the “Incontri al castello” (Encounters at the castle) exhibit, which saw many opportunities for entertainment at the castle this year linked by the common thread of regional culture, on Sunday 16 October at 16:30 the focus will be on the traditions, stories and charm of our land of Baraggia, narrated by the witty and captivating pen on Pier Emilio Calliera, best known as “pec”, a journalist and avid researcher of memories. 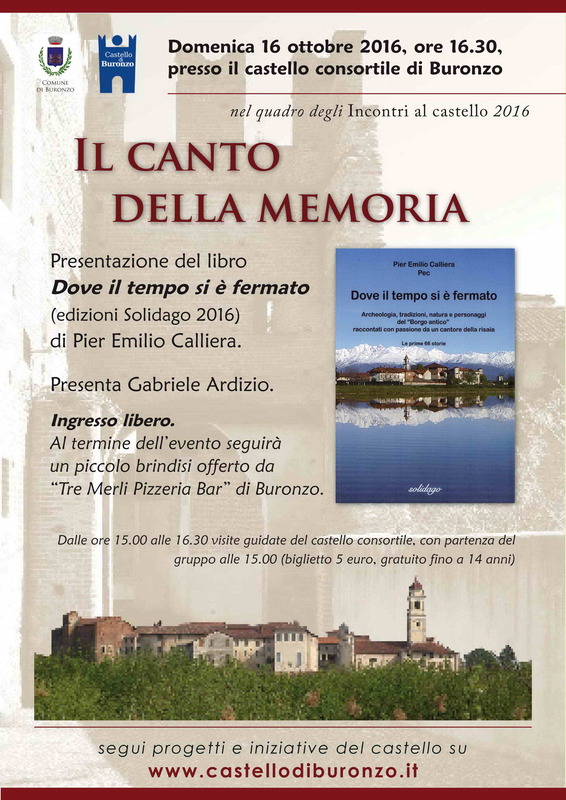 From archaeological insights to stories from the stable, from the picturesque events staged in the streets of the “old town” – the small village of San Damiano near Carisio – to the beauty of the nature between Elvo and Serra, the author has collected countless ideas for his short stories. Over the years they have been published online little by little, and have now been grouped in the volume Dove il tempo si è fermato (Where time stood still) (Solidago publishing, 2016), which will be presented to the public by Gabriele Ardizio, curator of cultural activities for Buronzo castle consortium. The event will of course also be attended by the author, and it will be possible to buy copies of the book. 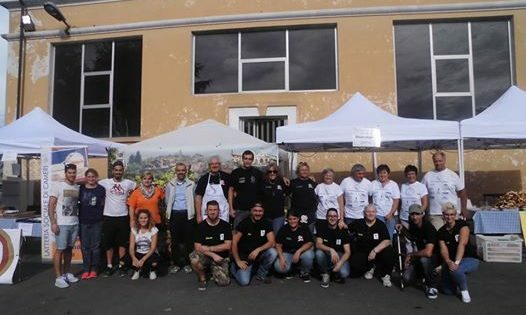 A short toast will round off the afternoon thanks to collaboration of “Tre Merli Pizzeria Bar” from Buronzo. 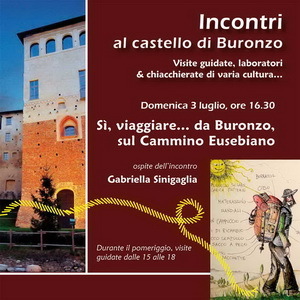 The event, with free admission, will take place at 16:30 at the Buronzo castle consortium. As usual on the first and third Sunday of the month, those interested will have the chance to take a guided tour of the complex, at a cost of €5 (free for under 14 years).